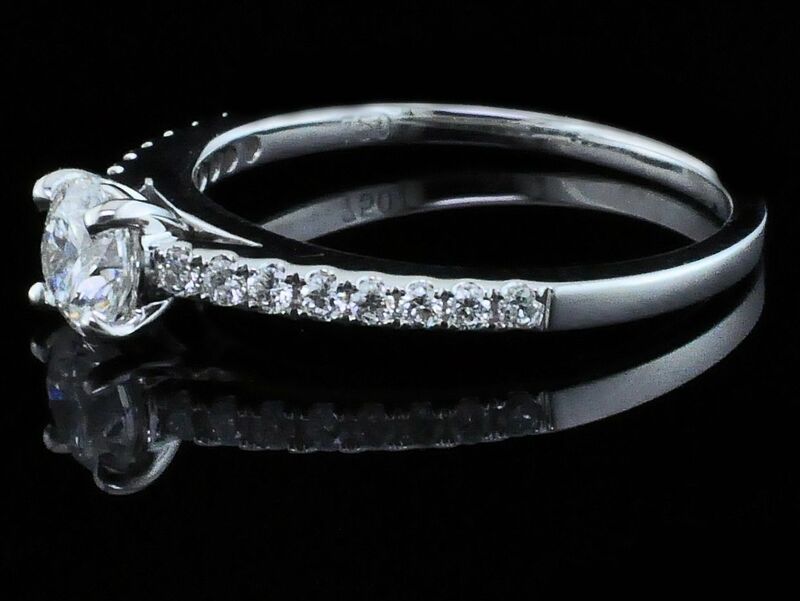 18k White Gold and Diamond Engagement Ring, with .65ct Total Weight of Diamonds. One .45ct Hearts & Arrows Cut Center Diamond, with a Clarity Grade Of VS2 and a Color Grade Of "E". 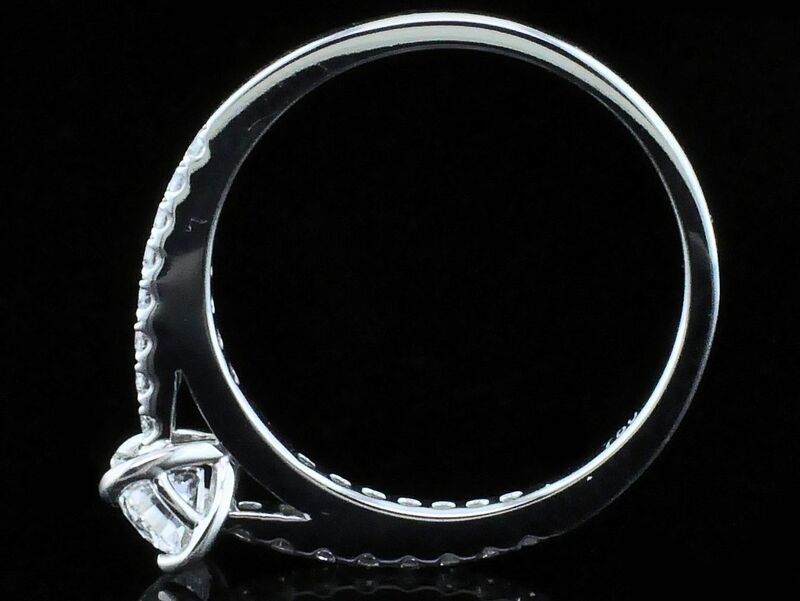 Do you have questions about Hearts & Arrows Cut Diamond Engagement Ring?